Grevillea Lemon Supreme is a small medium native shrub reaching 1.5mt at maturity. 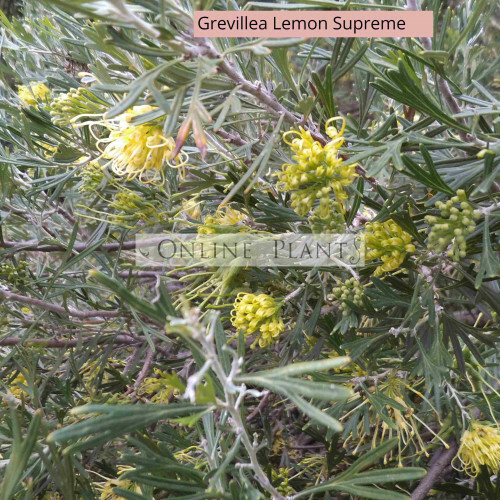 It has pale lemon/yellow spider type flowers across Winter and Spring. Excellent for coastal gardens and of course hardy in drought or frost prone areas. Likes to be planted in a sunny position in well drained loam. Water occasionally during the first summer.